Один из самых недорогих и весьма качественных домашних или офисных Wi-Fi роутеров в 300 Mbit. Имеет потрясающую дальность связи и качество. Complying with the IEEE 802.11n standard, the item can establish a wireless network and get up to 15X the speed and 5X the range of conventional 11g products. Also, with transmission rates up to 300Mbps, it shows more excellent abilities of mitigating data loss over long distances and through obstacles in a small office or a large apartment, even in a steel-and-concrete building. Above all, you could easily pick up the wireless network during long-distance connection where legacy 11g products may not! 300Mbps Wireless N Router комбинированный для проводной и беспроводной сети предназначен специально для небольшого офиса или домашней сети. Соответствует всем требованиям сетевых гаджетов, от компьютеров, телефонов, ноутбуков разумеется планшетов, сетевых принтеров и телевизоров. With MIMO Technology, BL-WR3000 creates an exceptional and advanced wireless performance, making it ideal for streaming HD video, making VoIP and online gaming. Also, WPS button on the sleek and fashionable exterior ensures WPA2 encryptions, preventing the network from outside intrusions. As for the security of WI-FI connection, WEP encryption has been no longer the strongest and safest guards for outside threats. the item provides WPA/WPA2 encryptions (Both Personal and Enterprises) that are created by the WI-FI Alliance industry group, promoting interpretabilities and security for WLAN. 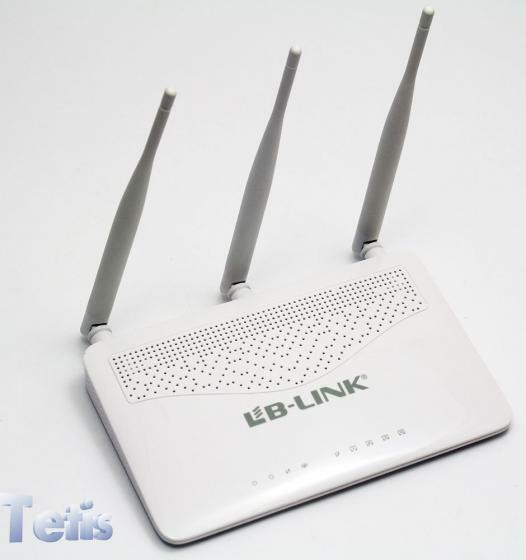 item features WI-FI Protected Setup (WPS) that allows users to almost instantly setup their security simply by pressing the "WPS" button automatically establishing a WPA2 secure connection, which is more secure compared with WEP encryptions. Not only is this faster than normal security setups but more convenient in that you don't need to remember a password! Among the wireless network, indiscriminate Internet surfing and bandwidth-guzzling downloads by internal users often leave home or small office with insufficient bandwidth. supports IP QoS function, allowing optimum utilization of bandwidth and offers bandwidth control over congestion, preventing the bandwidth abuse. In this way, the users of a small network receive committed and specific bandwidth, preventing non-critical applications from degrading network performance. 3*5dBi Fixed Omni Directional Antenna. Microsoft Window 98SE, NT, 2000, XP, Vista™ or Windows 7, Windows 8,MAC OS, NetWare, UNIX or Linux.